Theresa May’s government is on the verge of meltdown as cabinet ministers prepare to clash over whether to support plans for a softer Brexit and a possible lengthy delay before leaving the European Union. In a decisive intervention, David Gauke, the justice secretary, said on Sunday that the prime minister would have to accept the possibility of backing a customs union if the measure is supported by parliament this week. This was dismissed by Brexiters, including those in cabinet, who have threatened to resign if May accepts a customs union or submits to a delay that goes beyond 22 May. Those threatening to quit were reported to include Penny Mordaunt, the international development secretary, and Chris Grayling, the transport secretary. In another twist, Julian Smith, the chief whip, told the BBC on Monday that a softer Brexit was “inevitable” after the government lost its majority after the 2017 election. It comes as May and her dwindling number of supporters prepare to face a second round of “indicative” votes on alternatives to her deal on Monday. Concerned by the possibility of cabinet resignations, May is being urged by some ministers to allow a free vote on any customs union proposal. If parliament backs a customs union, ministers believe May will be forced to make a decision that will lead to resignations when the cabinet meets on Tuesday. With 12 days before the UK is due to leave the EU, Gauke said the prime minister would have to “look very closely” if MPs back a customs union in a fresh round of indicative votes. “If parliament is voting overwhelmingly against leaving the European Unionwithout a deal but is voting in favour of a softer Brexit, then I don’t think it’s sustainable to ignore parliament’s position and therefore leave without a deal,” Gauke said. Asked for his response to a letter from 170 Tory MPs, including 10 members of the cabinet, who wrote to May urging her to take the UK out of the EU “with or without a deal”, Gauke said he would resign rather than support no-deal Brexit. “My position is that it is not the responsible thing for a government to do, to leave without a deal in these circumstances. So obviously I wouldn’t be able to remain a member of the government,” Gauke told the BBC. Gauke joined five other ministers – including the welfare secretary, Amber Rudd, the business secretary, Greg Clark, and the Scottish secretary, David Mundell – in establishing a socially liberal Conservative grouping. The One Nation group, which is also backed by Rory Stewart, Claire Perry and Bim Afolami, plans to challenge the hardline Brexiters of the European Research Group, it was announced on Sunday. ERG members fear the indicative vote process, controlled by a cross-party group of MPs led by former minister Oliver Letwin, will inevitably lead to a softer Brexit. No 10 hopes that pressure will lead to more Brexiters reluctantly backing May’s deal after it cut the majority against it from 230 and 149 in the first two votes to 58 on Friday. The so-called “pizza club” of pro-Brexit cabinet ministers, led by the House of Commons leader Andrea Leadsom, held an emergency conference call on Saturday night to coordinate their response to the crisis and agreed to block efforts to join a customs union. May’s grip on power looks increasingly fragile, with cabinet ministers openly preparing for a leadership challenge. She appears poised to trigger a general election if parliament fails to agree on a way forward that she would then lead. He insisted that the party was not specifically preparing for a snap general election to resolve the Brexit deadlock, but acknowledged that “sensible and pragmatic” contingency planning was taking place. Any move by May to lead a snap election would be fiercely opposed by cabinet ministers, senior cabinet sources said. One cabinet minister told the Guardian: “Now the prime minister has said she is going, there is no point in hanging around indefinitely having said that.” The minister also poured cold water on claims that there would be a general election, pointing to the Fixed-term Parliaments Act. Meanwhile, senior Tories are openly campaigning to succeed May as prime minister. In an interview with the Telegraph, Grayling said her successor should be a senior Brexiter who could see the country through the next phase of negotiations and a full-scale leadership contest should be delayed until after the 2022 election. On Monday, MPs will vote on nine different alternatives to May’s Brexit plan in the second round of so-called indicative votes, none of which won a majority last week. 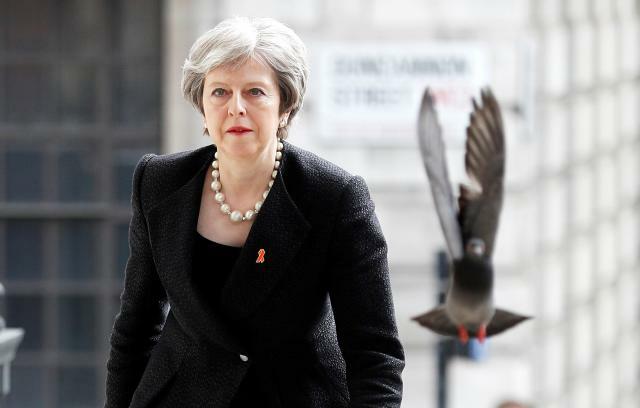 They range from a second referendum to a plan to take Britain out without a deal on 12 April through to new powers to give Parliament the right to revoke article 50, postponing Brexit. John Bercow, the Speaker, is responsible for selecting which options can be put to a vote. Two “soft Brexit” plans have gained significant support from MPs since last Wednesday’s vote. Ken Clarke, the former chancellor, has been pushing a plan that would require a full customs union with the EU negotiated as part of the Brexit package. This option was defeated last week by a majority of only eight votes. The “common market 2.0” plan, under which Britain would stay in the customs union and the single market, lost by 95 votes, but has since been altered. Meanwhile, the head of the European commission, Jean-Claude Juncker, has warned that patience with Britain could be running out. Juncker told Italian state TV RAI on Sunday that he would like Great Britain to be able to reach an agreement in the coming hours and days that could be followed.